Photo Editing is most important matter Todays . So people so much interested to edit any photo From their mobile phone . Now a Days lots of People Using Android mobile phone and they are so much interested for any kinds of Photo editing Apps .Hello I am siam after long days I am back with new article Hope that guys All is keep going Good .Today I am telling About Top 5 photo editing android apps that can Help you to edit professional photo using your Android mobile phone .when any one search on Google play store for best photo editing software search results show lots of results so its very difficult to find best one .I have already used most lots of Android apps and I got the best 5 apps so you can pick any one for your photo editing .Please take a look below you will get details About 5 best apps . Yes pics art Photo studio is one of the best Android photo editor I think .I have used lots of time for my photo editing and its really cool .You will find lots of editing effects and extra editing facility like adobe photoshop . 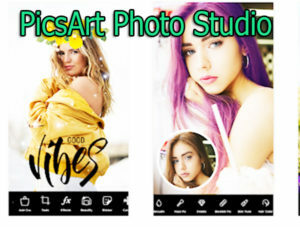 When I am writing this Article 500 Million People Already installed this Apps .Lots of Awesome feature you will get from this pics art photo studio android apps .Most interesting is feature is collage maker, camera, free clipart library, millions of people already created awesome clip art from this apps . 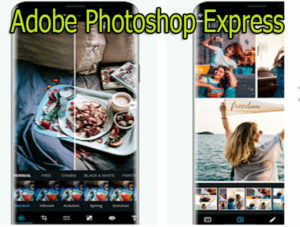 You can easily take any awesome photo using this apps also you can edit instantly and must professionally .I love so much this apps so you can use this apps for your best photo editing . I think you know About Adobe photoshop desktop Application .One of the Best Photo editing desktop application is Adobe photoshop . Right now most of people want to edit their photo easily using there Android Mobile Phone thats why Adobe Developer team Already made supper Awesome Android photo editor and This Android Apps name is Adobe Photoshop Express .Really just Awesome interface and best feature for any kinds of Photo editing .If you want professional Photo with beautiful color you should use this Adobe Phtoshop Express Android Apps From Google play store. Most of the feature of Adobe Photoshop express just like same as Pics Art but here is some extra feature and photo editing style is Great .You can Easily Remove any dark from your face photo also you can add some shine for best looking using this apps .If you want to create best collage maker from this Adobe photoshop express apps yes you can do it easily .I love this apps so much cause all the Photo effects is just awesome I really love this feature .So if you want to edit your photos and upload it any where you should try this apps for your photo editing . Fotor Photo editor is another one Great Apps for any kinds of Photo editing I think .You will find most interesting part Fotor Events you can easily attend this Events using the photo events contest area .Fotor are hosted this events so any one can easily attends this contest for Fotor events .Another one best feature is here Photo licensing Yes can easily licensing your photo using pxbee which is connect with stock photo market and its also connected with fotor community really this feature is Awesome . You will find as usual other photo editing service like photo effects ,photo collage ,remove add object and adding any frame . 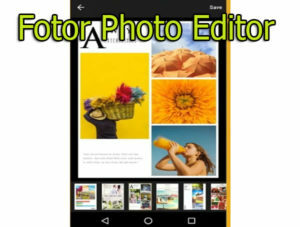 Some problem is there said by some user when add some frame on footer area its crashed or not loaded but Fotor photo editor developer teams release new version and its works great .So you can install this Fotor Photo editing android apps from Google play story and enjoy your photo editing moment . 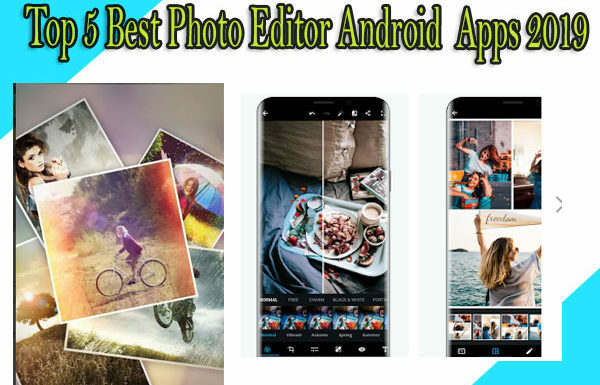 Photo Director is most wanted Photo editing apps for Android user and people loves so much to editing any photo using this Photo editing Apps .All the feature is just perfect and most of feature is Very helpful for Professional Photo editing . 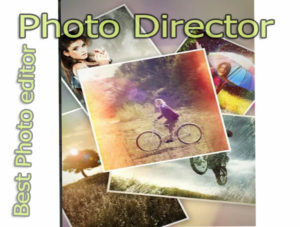 Most of the cool feature is on Photo director you can easily retouch any kinds of photo easily just look like professional Photo editor apps . Also you can easily Find best feature for crop any photo ,live wallpaper editor ,wallpaper maker ,Artistic effects ,color effects and many more feature that can help you to edit world class professional Photo .So hope you will love this Photo editing apps when you will use .You can Download this Apps from Google play store . 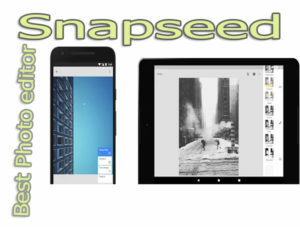 Snapseed is one of the Best Photography Android Apps I think .Normally all the feature is Available in this apps so people can easily best photo as usual but most interesting part is if any one want to using healing Brush with some brush effects yes user can easily do it . 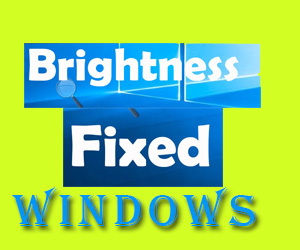 Also there is some color correction option with increase light and photo retouch so this is best for any photo editor . If you want some black and white effects and overlay effects yo should use this Snapseed apps .Hope that you can edit some cool photo using This Snapseed android photo editor . 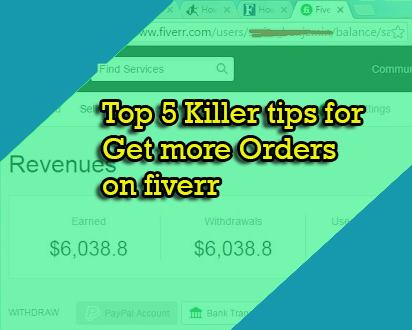 Hope that Guys your are enjoing this Artilec About Top 5 Most Wanted Android Photo editor .If you have any question or if have facing any problem for use any Apps please feel free to comment below I am ready to help you right now .